bad for trees. Saturated ground makes trees more susceptible to toppling. Arborists say the average tree only has a root system that goes 12 to 18 inches deep. When the ground gets saturated, even a light wind can create danger. 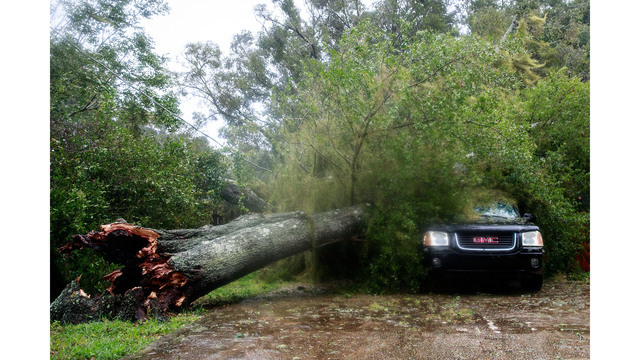 “We’ll see more trees fall over in a situation like this where you you have days and days of rain, and a small wind then from the hurricane situation,“ said ISA certified arborist Jared Kibbe with Bartlett Tree Experts. He says you need to inspect trees on your property looking for signs of the soil lifting or cracking around the base of a tree, or for ground that’s become loose or spongey.